Three little embroideries set in mini embroidery hoops, freshly listed on my Etsy shop. Two butterflies and a bumble bee. 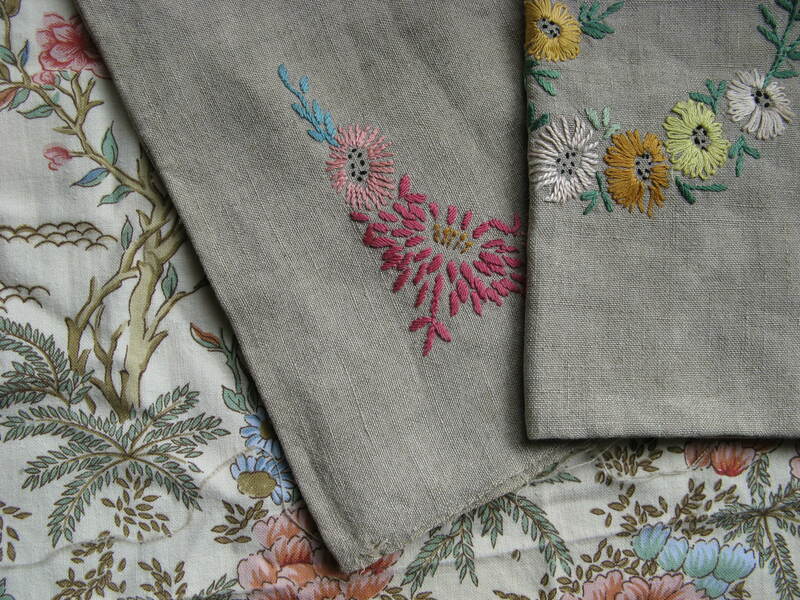 I really like the soft, muted colours of this vintage linen. 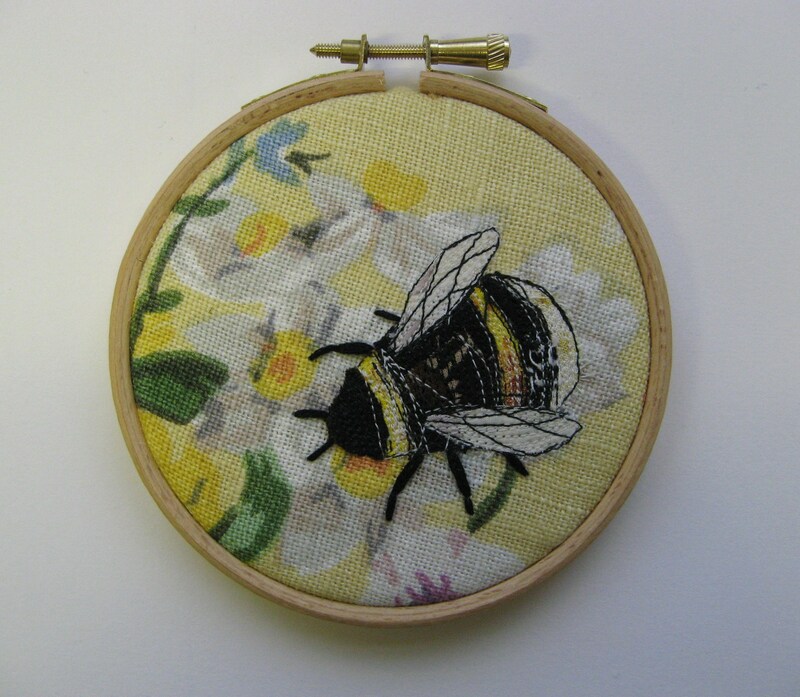 I deliberately chose this piece of fabric so the bee looks like it`s crawling over daisies. 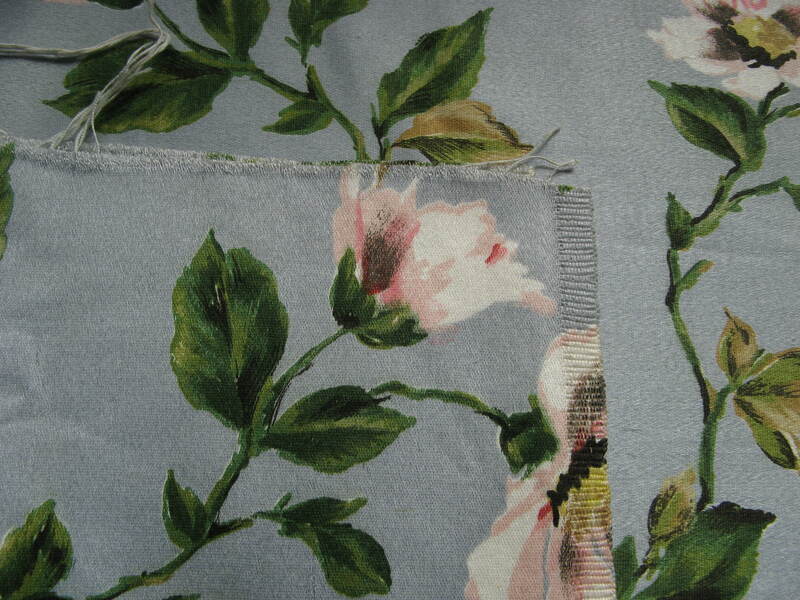 This little piece of fabric reminded me of a cottage garden. 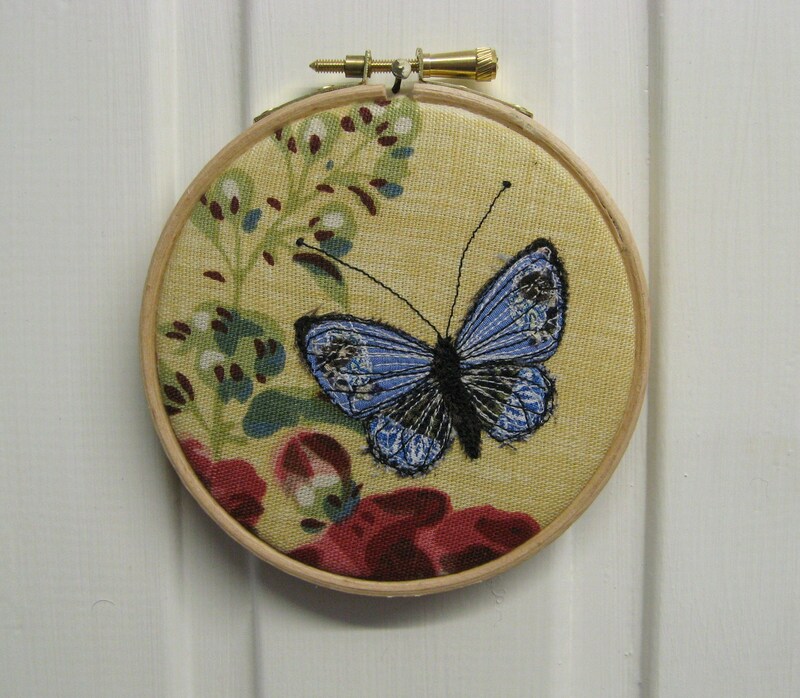 I set my daisy embroideries into hoops too and I think they work quite well. 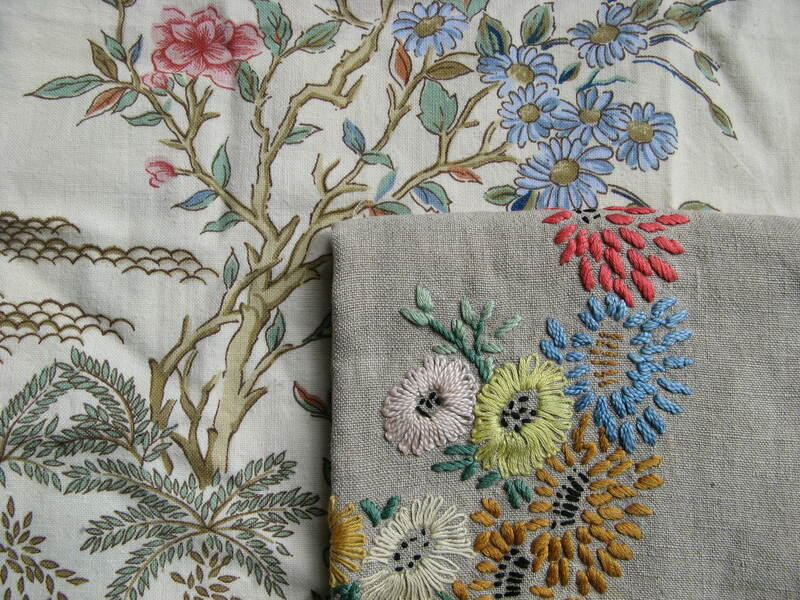 I backed the embroideries with natural calico, with a thin layer of wadding in between. The fabric at the back was carefully snipped away and I decided to brush a thin coat of PVA glue onto the edges to prevent fraying and set the fabric into the frame. I`ll definately do a few more of these, in various sizes, perhaps birds next! 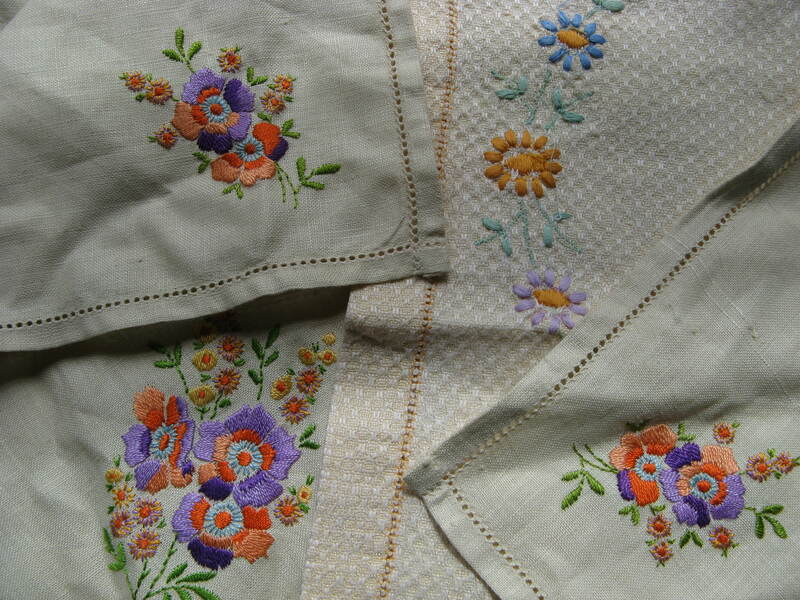 This lovely vintage embroidered linen cushion cover was only 20p! I love the old curtain fabric too. 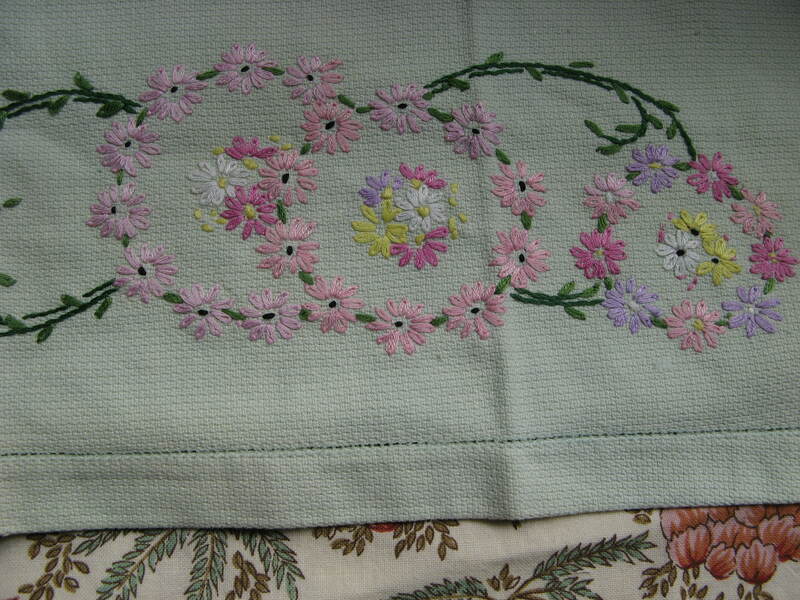 More embroidered traycloths to add to my collection! 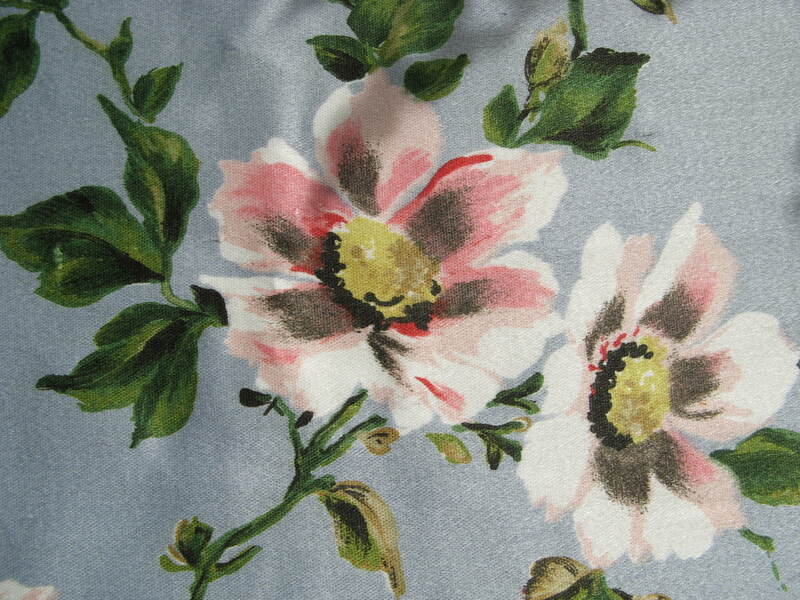 The best find was this gorgeous length of 50`s (I think) print on a satin weave fabric. It reminds me of the apple blossom in my garden. I like the pale sky-blue background too. 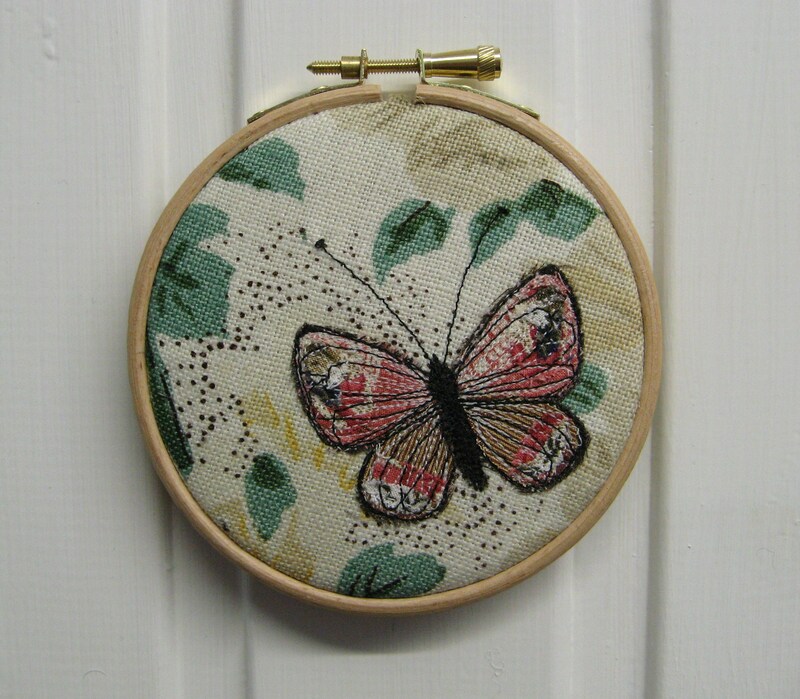 I do try to use mainly recycled fabrics in my work, but now and then I can`t resist a fat quarter. Because I use such tiny amounts of fabric, a quarter metre can last me ages, even years. I had to stock up on thread in our local haberdashers today and decided to treat myself to these packs of fat quarters by John Louden. 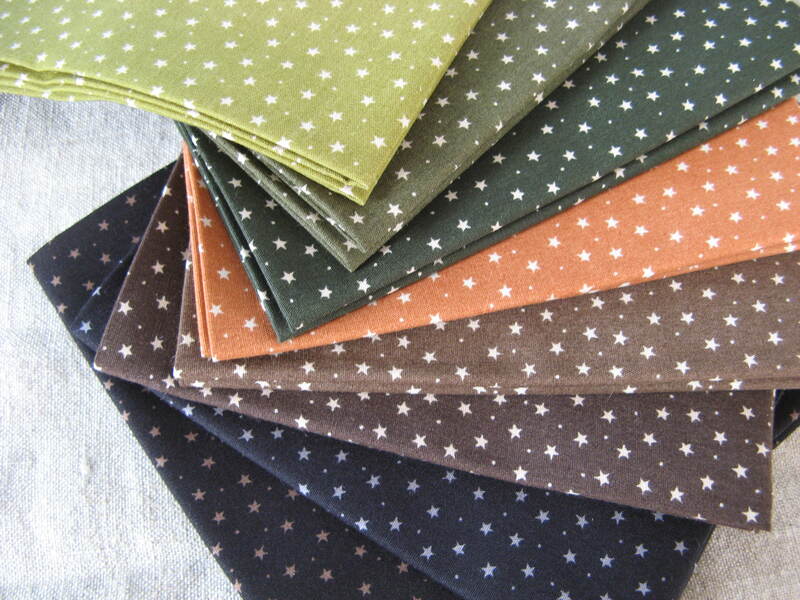 I couldn`t resist these tiny stars and really liked the muted colours. 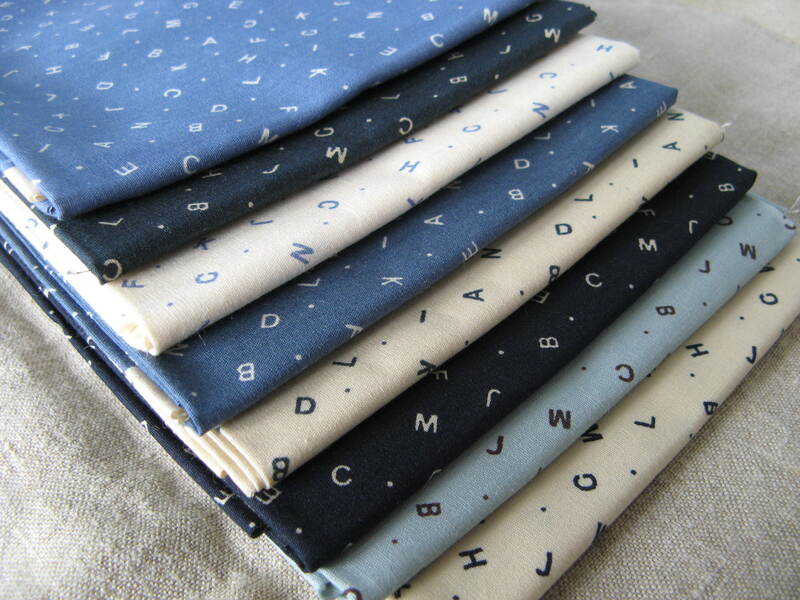 This pack with its subtle blues and tiny scattered letters was a must-have too. I`m sure I`ll really enjoy using them for lots of future projects!